The Ensemble Business Process Language (BPL) is a language used to describe executable business processes within a standard XML document. BPL syntax is based on several of the proposed XML standards for defining business process logic. A BPL business process class is derived from Ens.BusinessProcessBPL. It is identical in every way to a class derived from Ens.BusinessProcess, except that it supports BPL. 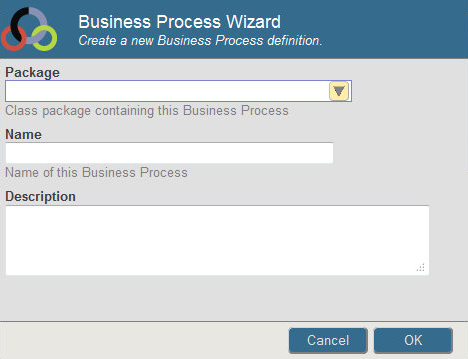 The Business Process List page displays a list of business process classes defined in the active Ensemble namespace. To navigate to this page in the Management Portal, select Ensemble > List > Business Processes. You can also export and import business process classes as you do any other class in Ensemble. You can use the Classes page of the Management Portal (System Explorer > Classes) or use the Export and Import commands on the Tools menu in Studio. Execution flow control elements such as <branch>, <if>, <switch>, <foreach>, <while>, and <until>. For information about how to use these and other BPL syntax elements, see the Ensemble Business Process Language Reference. Persistent state. BPL permits a long-running business process to automatically suspend execution  and efficiently save its execution state to the built-in, persistent cache embedded in Ensemble  whenever it is inactive; for example, when it is waiting for an asynchronous response. Ensemble automatically manages all state preservation and the ability to smoothly resume processing. You make a business process into a component by setting an attribute of the top-level <process> container for the BPL business process. The attribute is called component and you can set it to 1 (true) or 0 (false). For syntax details, see the Ensemble Business Process Language Reference. To set up a <call> to a component from a BPL business process, see Adding a Call Activity, later in this book. A BPL business process supports the business process life cycle with a group of variables known as the execution context. Ensemble automatically save the variables in the execution context and restores them each time the BPL business process suspends and resumes execution. These variables are available to every BPL business process; that is, to every business process class that inherits from Ens.BusinessProcessBPL. For detailed information about BPL syntax on BPL elements such as <process>, <context>, and <call>, see the Ensemble Business Process Language Reference, which also provides reference information for the context variables. The context object is available to a BPL business process anywhere inside the <process> element. context is a general-purpose container for any data that needs to be persisted during the life cycle of the business process. You define each data item as a property on the context object when creating the BPL business process. See Defining the context Object for the recommended procedure. To test that status has a failure value, use the macro $$$ISERR(status) in ObjectScript and the method $system.Status.IsError(status) in Basic. If the test returns a True value, status has a failure value. You will be able to perform this test only within the body of a <code> activity before it returns to the main BPL business process, since the business process will automatically quit with an error as soon as it detects that status has acquired a failure value following any <call>, <assign>, or <code> activity. The following sample business process is similar to a class in the sample production package Demo.Loan in the ENSDEMO namespace. In this business process, three different banks can be consulted for prime rate and credit approval information.